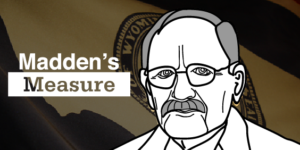 The big story of Wyoming’s excise taxes — the taxes we pay when buying and selling things — is one of economic behavior evolving faster than the tax structure. It’s time for the state to catch up. Household spending on tangible goods has fallen massively in recent decades while spending on services has gone up. In fact, some research finds that 60 percent of the average household’s expenditures went toward goods 40 years ago. Today that number is down to 40 percent. The shift has been toward services. 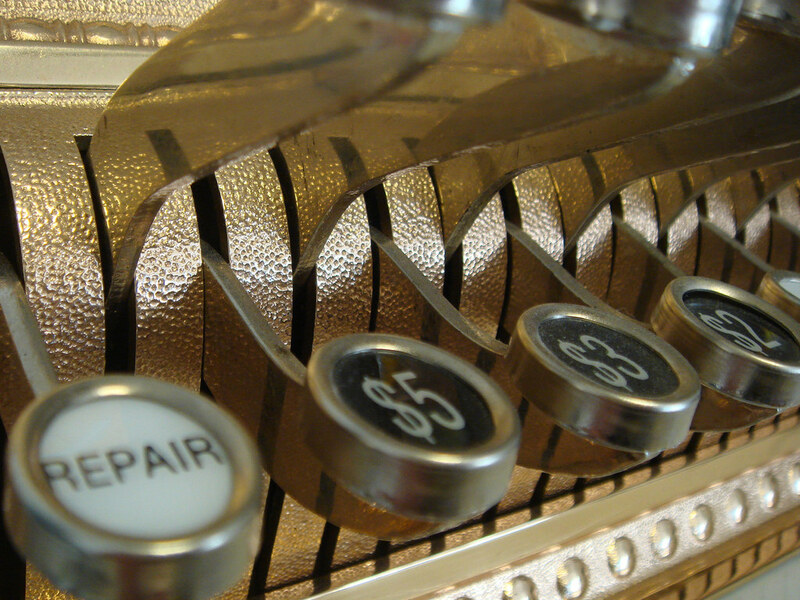 We have all read about the new service economy — its jobs, its growth. And we also know how our own household budgets contrast with our parents’ spending during our early lives. Households of 30 to 40 years ago didn’t spend money on internet service, satellite TV, cell phone plans, airline tickets, landscaper services… the list goes on and on. What does this mean for the viability of Wyoming’s sales tax structure? Our state has one of the narrowest sales taxes in the nation with relatively few services taxed. In addition, an inordinate number of commodities are exempted. Thus, our commodity driven tax base has been shrinking slowly but surely for years. Some states saw this trend coming and reacted accordingly. South Dakota, for example, expanded its sales and use tax base to include services 25 years ago. While South Dakota addressed nearly all services at one time, other states gradually added services in a more piecemeal fashion over many years. Many other states have attempted sales and use tax broadening over recent years with varying success. Enter House Bill 67 – Sales tax revisions, which will be considered soon in the Wyoming Legislature. When this bill was drafted during the interim, we chose a somewhat less encompassing version than did South Dakota. However, it covers most personal services, business and agricultural services, professional services, and amusement and recreation services. What sets HB67 apart from other states’ legislation is that it is drafted to be revenue neutral. That means a central goal was to broaden the sales tax base, but also to reduce the tax rate to effect neither an increase nor decrease in overall tax revenue. When considering all new elements of the bill, the state sales and use tax can be reduced from 4 percent to 3.5 percent. During the final interim committee hearing on the bill, witnesses liked the reduced tax rate, but had reservations on taxing certain services — especially those services that involved themselves personally. But we can’t have the former without the latter. It is critical that citizens understand the reduced sales tax rate of 3.5 percent is only achievable if the broadening aspect of the bill is not significantly diluted with special interest amendments. For example, one portion of the bill that will likely see some debate is the food exemption. The bill, as written, removes the exemption on grocery purchases. This exemption has been in place for 13 years and is popular among low income households. Some reasonable compromises exist for foodstuffs. For example a narrower definition of exempted food could be established by limiting the exemption to food staples but removing it from prepared deli type foods. The bill also addresses other major problems with the Wyoming sales and use tax structure. Not only is our tax narrow, but it is also fraught with many specific exemptions within the goods sector. Many of these are special interest exemptions that have proven to serve no public interest — they don’t create new jobs or spur economic growth and the like. Some of these exemptions are recommended for repeal in HB67. I owe my skepticism of economic incentive tax exemptions to Rodney “Pete” Anderson, the chairman of the House Revenue Committee during my early years as a legislator. The chairman was fond of referring to them as tax appropriations. Let me explain what he meant. To administer a tax exemption as an appropriation, the state would assess the tax as usual, then appropriate the dollars necessary to refund taxes paid by business sectors that the Legislature has chosen to be tax exempt. The option of continuing the refund would presumably be made every two years during the budget session. The benefitting businesses would in the end, remain untaxed each year, provided the refund was appropriated. Actual tax exemptions, however, are able to avoid the biennial messiness and public scrutiny of an appropriation and are made virtually permanent by statutorily exempting them. The revenue consequences are seldom noticed among the mix of other revenue and so they continue. In recent years, the Joint Revenue Committee has asked for an economic analysis of some of these exemptions. Two of the larger exemptions involve purchases of manufacturing equipment and data processing equipment. They are marked for repeal in HB67 and involve forgone revenue of $40 million per biennium. The economic analyses suggest that about 35 jobs are produced in these sectors for a cost of $20 million per year or $580,000 in lost state revenue per job. Even the federal government cannot match this! House Bill 67 would be a big step toward Wyoming tax equity. It also involves no increase in total revenue collections from state residents. House Bill 67 is a bill that should be considered and passed. 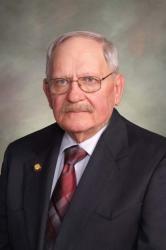 Michael Madden served 12 years in the Wyoming House as a Republican representative from Buffalo, including seven years as chairman of the House Revenue Committee. He is an economist and holds a doctorate in economics from Iowa State University. Sales Tax gets everyone. Unlike property tax and Income Tax. So the guy selling dope and working under the wire pays just like everyone else. Make it a 1% across the board on anything that is sold. Its real simple. Then there is less government cost. Do not pass a tax that simply grows the government. When it comes to low-cost public services, we rugged Wyoming individualists have developed a multi-generational culture of entitlement (to borrow a phrase we only apply to inner-city paupers). Thanks to the mineral wealth geologic forces placed within our borders, we have never paid more than a fraction of the costs of our government and public services. It’s been a great ride, but it can’t continue. As we plow money into economic diversification efforts like the ENDOW program, we must realize the new industries we are courting will not generate proportionate tax revenues without significant changes to our tax structure. As the country and the world move away from carbon-based energy supplies, with or without the cooperation of Wyoming, our dependence on oil, gas, and coal taxes is unsustainable. As the economy moves from the production of goods to the production of services, our tax structure must follow suit if we are to continue the public expenditures to which we have become accustomed. “No new taxes”, is a fruitless plea for keeping everything the way it was – a bold vision for the last century. We need political leaders willing to step up to the plate and look to the future. We need citizens willing to pay their share. It’s 2019 and counting …. It won’t be revenue neutral. If it were revenue neutral it wouldn’t be worth debating. Get ready to pay more taxes. People do not go into politics in order to leave other people alone. Keith – I have read reports that the median family household in Wyoming pays a total of $ 3,000 in state taxes, annualy but receives over $ 25,000 in goods, services, and infrastructure from the State during the year. How would you reconcile that going forward as mineral and energy revenue falls off the cliff with nothing to replace it ( yet ) ?